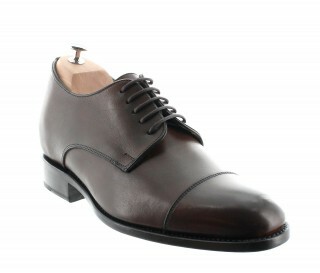 GOODYEAR WELTED: Exquisite elegance! 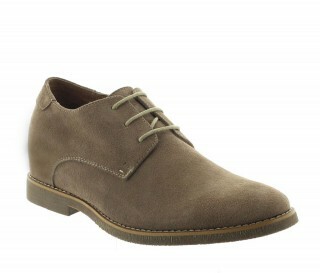 As attractive as it is essential, the Derby has what it takes to seduce you. As attractive as it is essential, the Derby has what it takes to seduce you: the purity of its design, sobriety of its cut, the high quality leather, and impeccable comfort. Whatever your outfit, it goes with it perfectly. Our secret is completely undetectable ! Do you want to gain a few centimetres without it being obvious how? 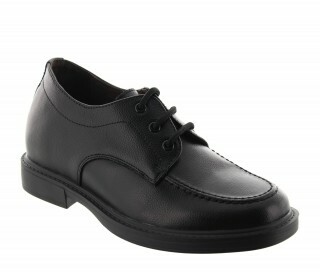 And without using the basic heel pads that are rigid, uncomfortable and unsightly? 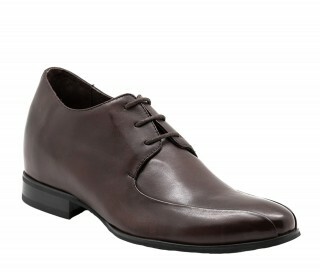 BERTULLI elevator shoes have the perfect solution to meet your expectations—high quality shoes that hide a unique system allowing you to instantly gain up to 10 cm in height... And without those around you suspecting anything. 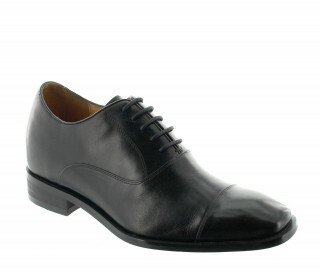 The special BERTULLI manufacturing process incorporates a reinforced inner sole at the heel of the shoe. 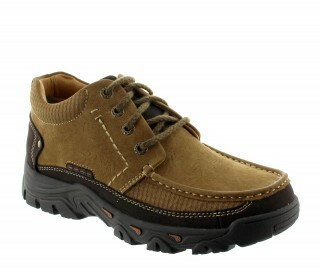 Its anatomical and contoured shape respects the arch of the foot for ease and unbeatable comfort. 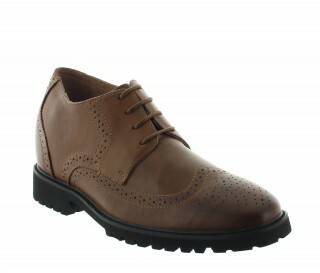 The exterior appearance of the shoe is perfectly normal...no high or even thicker heels. You grow from within, your silhouette appears slimmer, and your growth secret is well kept. From the outside it looks like any other shoe. No high or clumsy heels. The integrated inner sole that can go up to 6cm depending on the model is added to the standard heel (2-3 cm depending on model) for an increase in height of a maximum of +10cm. Trust our expertise, take your time and make your choice. We handle your order quickly, satisfactorily and discreetly. 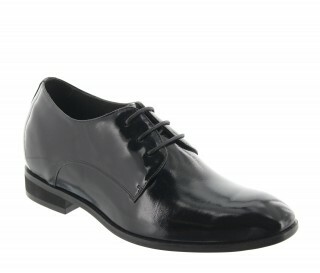 When you buy Mario BERTULLI shoes, choose the size you normally wear. The most effective way to get the right size is to measure the length of the foot. Remark: If you are between two sizes, we recommend you take the next size up. If you are still not sure, do not hesitate to contact our customer service advisors who will happily advise you. 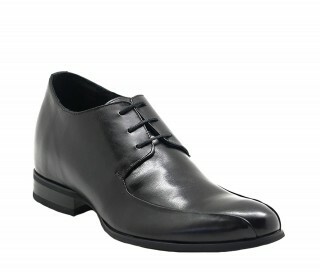 1) If you do not immediately notice a visible 5 cm lift when using these shoes (without other people suspecting why), or if you do not like the shoes, just send them back to us within 15 days in the condition in which they were bought and we will refund the price (excluding carriage) no question asked. 2) If the shoes are not the right size, simply send them back undamaged within 15 days and we will send you a new pair free of charge. When trying on the shoes, stand on a rug or carpet to avoid damaging the soles. 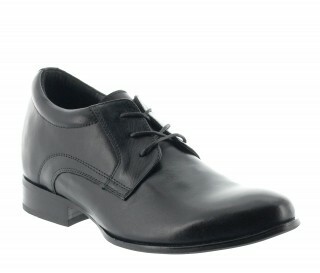 3) Your secret is safe with us; shoes are sent in plain unmarked packaging that is securely wrapped.